If you’ve worked on an older car for more than five minutes, you’ll know what it is to give a bolt your all with a lefty-loosey, and the head snaps off as if it was the tightiest of righties. Fret not, young wrench, for I have a solution that will keep you from losing your sanity. 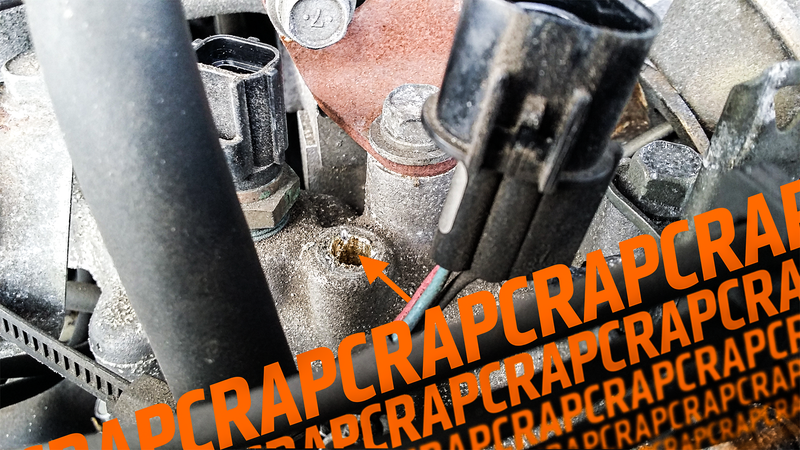 A while back, as I was replacing a coolant temperature sensor in a car I was working on, the brass sensor threads and aluminum sensor housing had a bit of a falling out and decided that they would make life difficult for everyone around them. What this meant for me is that when I went to tighten the sensor down to a watertight seal, the head of the sensor snapped off, leaving the hollow brass core firmly stuck in the engine. Here’s what I used to remove it, and you can use the same procedure to remove virtually any stuck bolt. Considering that in my predicament, the sensor was hollow, I didn’t need to drill into it and skipped that step. I simply inserted the drill extractor into the hole and slowly ran it out by turning it counter-clockwise with a ratchet. I then installed a new coolant temperature sensor in its place, making sure not to over-torque the small bolt.